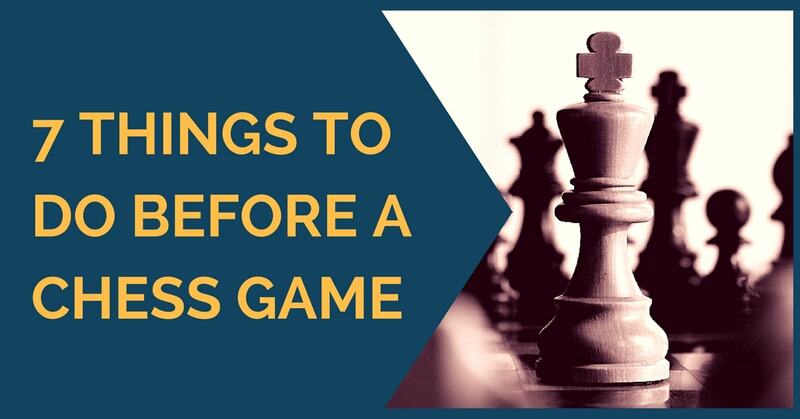 Many chess players are asking what they should do right before an important game to help their performance. There are many different things to take into consideration but I’m focusing only on the most important ones. I’m giving you an outline of 7 things you should do just few hours before the round to positively influence your game. Here we go! 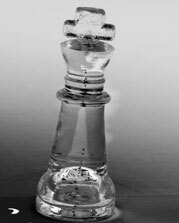 Many chess players are setting high expectations for the result, not for playing process itself. If you are facing a strong opponent, the things may go not as smooth as anticipated. If you set yourself up for a win, you may get discouraged and your performance will suffer. It is better to focus on playing at best of your abilities rather than fixating on the result. Sure, we all want to win. But constantly thinking about the tournament standings, rating points and outcome of the game will only create anxiety and prevent you from focusing on important things. When you are in the game, you have many little things to take care of, and if you do the good things will happen. Focus on the process and you won’t be disappointed at the end. When you’re commuting to the tournament spend a few minutes to think about awesome chess you will be playing. Think about all the stunning combinations, sacrifices and mating nets waiting for you to be found and played in today’s round. Don’t set yourself super high expectations that you need to win x games or get x number of rating points. It is much better to just visualize great chess you can play rather than making quantitative commitments. This simple routine will help to set a positive image in your mind which will translate into higher confidence and superior performance. This is perhaps one of the most important pre-game tips I can give. I can’t stress enough the importance of quality rest before competition. When a player is tired and didn’t get enough sleep, it is 3x or even 5x times harder to play good chess. If you want to perform at your best, forget about staying up till 2 am. Go sleep early and you will get rewarded over the board. This is true for all competitive athletes not just the chess players. They all have special regimen dictating when to rest and when to train. The routine is setup in such a way that they can get adequate rest; insert some practice in between the rounds while performing at their best. It is no surprise that stomach plays a big role in chess competition. No one wants to play chess being too full, food poisoned or starving. There should be a balance of what to eat, how much to eat and when to eat. Some players prefer having a full meal before they play, while others want to keep their stomachs half empty to make sure the brain is sharp. Some load up with carbs and caffeine, while others stay away from it. In my opinion food intake before and during the game is a very individual thing and there are no set rules about it. One thing is clear. You shouldn’t go to the extremes of overeating or not eating at all before a 6 hour game. Listen to your body, and try figuring out under what conditions you play at your best. Although, staying hydrated is a good idea. 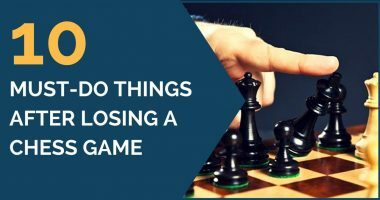 Many players make a mistake of not reviewing their openings before an important game. It is a good habit to have, and it will surely pay off in the long run. You don’t need to review them right before the round. It is sufficient to look them over on the game day. Just start up your favorite chess database software, open your opening tree and browse through the lines. Pay particular attention to the new lines. Those are least familiar to you and easiest to forget. It is a good idea to add brief notes, making it simpler to navigate through all the variations. Going over the lines you’re about to play adds bonus points to your confidence and memory. Warm up routine is a great way to tune yourself for an important game. I’m not talking about doing pushups and stretching (although it may not be a bad idea for some players). Most common warm up routine includes solving tactical exercises. Those exercises don’t need to be very challenging. Ideally, you should be solving 10-15 very simple problems which you can do in 5-10 seconds each. That will help your brain to tune up for the game, as well as give you a confidence boost. It is especially important to do this kind of warm up if you feel that you are not totally focused for the game or feel anxious before the coming round. 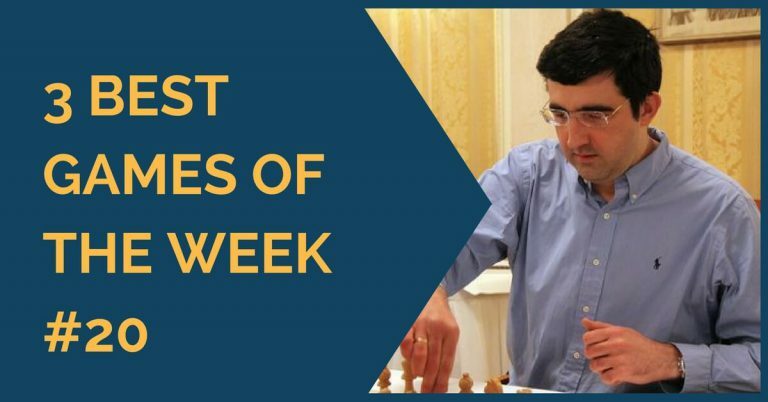 All great chess players know how to tune themselves for an important game. They are able to simply turn off their attention from everything except for chess for the next 3-6 hours. Nothing matters at this point: not the tournament standings, not a previous round blunder, not even the family or financial difficulties. Those things stay behind and players are focusing 100% of their attention and mental energy on 64 squares. If you can do that, you will immediately play a much better game! Try implementing some of these tips in your pre-game schedule and you will observe your over-the-board performance increasing. You don’t need to do all 7 exercises I outlined. Start small, experiment and you will definitely find the right combination that will help your chess big time!